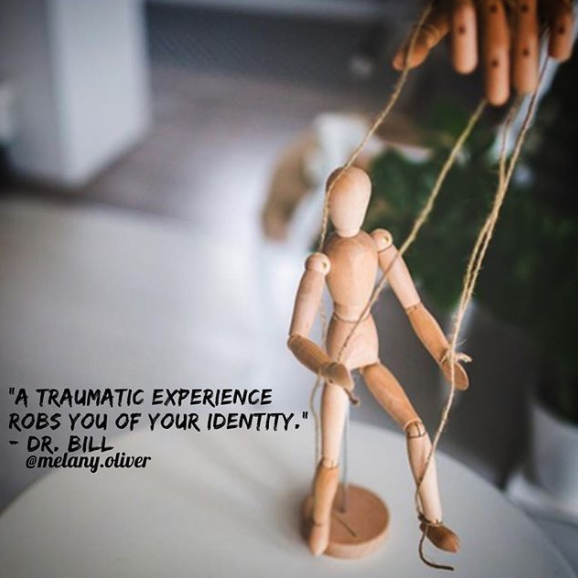 If you have experienced any form of trauma, in particular, psychological and emotional trauma (click here to know what is emotional trauma), you may find this interesting! 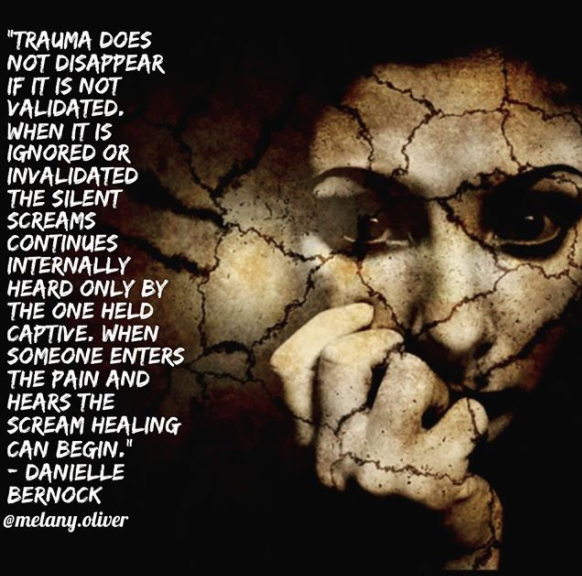 I only discovered this 10 years after I started my healing journey so perhaps like you I was unaware of how I was still in emotional trauma shock enacting my emotional wounds. Becoming aware of these responses really made me realize at how much I was still stuck, even after so much inner work. If the emotional trauma remains unprocessed you will still be in a traumatic state, however, you play it out differently depending on the situation and what it actually triggers in you. As the name suggests, you "fight" in response to anything that triggers your deep emotional wound. You will probably get triggered easily and react in anger, raise your voice or use force like a bully to feel more powerful than others. Anger, in general, makes you feel powerful or at least is the only way you know how to make yourself feel or be powerful, because deep down in the trapped emotional wound lies "powerlessness". In the moment of the actual emotional trauma, you felt powerless and this feeling of being powerless is what lingers emotionally as a victim state of being later on in adult life. In the fight response, you use anger to protect yourself and stand your ground and in certain situations, I'm all for anger! For example, in a case where you are about to get attacked by a man like in my case, anger is your friend trust me. Growing up in a country where women are inferior or less than, I've had to on many occasion stand my ground through vocal angry expressions and literally fight men off or sometimes just get ready to fight so they would back off. In these life-threatening situations, you will need all that anger to help you fight and protect yourself. Once I truly dealt with the root cause of the trauma I must say it's been 7 years since the last attack, touch wood, I've not had to defend myself like that since. In any case, I want to point out that this was a pattern for me, rooted in an incident that happened when I was 7 years old, I was almost kidnapped and saved by a 9 or 10-year-old boy. So I created the belief that the world is not safe and that my survival is always at stake. When I refer to emotional trauma responses, I'm talking about when it's not really appropriate to express anger as an emotional defense mechanism. If you are stuck in a fight trauma response, and a work colleague, your partner, child or even a family member makes a comment that triggers you and you "fight" inappropriately, or should I say "emotionally" or that is actually totally unnecessary and could have been avoided... this is the emotional fight trauma response and you have inner wound healing to do! Know that this anger is only defending your emotional wound and once the wound is truly healed, I can assure you based on my experience and with clients I have worked with, that you will not react in anger in similar situations in the future because you will have no wound left to defend. The flight response is flighting or fleeing from any situation that resembles or reminds you unconsciously of your emotional wound. You run away or avoid any conflict or emotionally challenging situations. You say you will deal with it later because right now you have to go. In the flight response, you go make yourself busy with something else, you don't have the time or the energy to deal with those conflicts or inner issues. You believe that by avoiding it things will get better but in reality, the situation never really gets resolved, because the conflict or trauma is still within you. You have to learn to face emotionally challenging situations because turning a blind eye, fleeing or pretending it doesn't exist is not the answer. You will never grow or even empower yourself on your journey this way. In fact, you will remain stuck in this pattern until you face it! Most people in flight response tend to be disassociated from their emotional body and live in their mind, in order to avoid feeling the deep emotional pain of more often than not childhood traumas, once again "running away" is the symptom. If you're stuck in this pattern when you stop running it's common that anxiety will kick in. You will feel anxious when you're "still" or being as well when you are trying to relax. Maybe you don't even know how to relax! Regardless you must STOP running, stop hiding inside your mind! Ground yourself, slow down your breath and you will see that you can actually handle and deal with challenging situations if you just allowed yourself to do so. Yes, the first few times it will be scary but the more you face things, this is how you get your self-esteem back and learn to face life! This is the deer in the headlight response, you literally freeze. You are stuck in complete fear of people and the world. Similar to the flight response, you will probably be totally disassociated from your emotional body and live in your mind. The difference is the freeze response types tend to daydream more, live in a fantasy world inside their head whereas in the flight response it's more about being "busy" or productive, analyzing on how to achieve their goals and getting ahead quickly in life. If you are stuck in the freeze response there may even be an element of denial of your childhood traumas. Maybe you have some awareness but may even deny how much it is actually affecting you. This extreme case of numbing, or ironically "freezing" yourself, can cause depression as you will be so out of touch with yourself, your wounds and detached from your own body that you may even feel like you're living in a dream-like state, totally out of touch with reality. Freeze response occurs when fight or flight was not an option in the moment of emotional trauma, perhaps you were cornered and made to stay there frozen while being emotionally traumatized by one of your parent or authority figure. I often see client's soul slightly out of their body with the freeze response. They struggle to ground themselves and fear being grounded actually. Staying frozen makes the pain go away and so they prefer to live in this detached state often isolating themselves from the world in order to feel safe. If you're stuck in freeze response, come back! Come back to yourself and back to the present moment. Freezing is not coping. The world is a safe place once you learn to process, navigate and understand your emotional realm. Give yourself permission to feel, and to know that it is safe to feel your emotions and that you can handle it. If you need support in processing your emotional wounds, seek professional help! You cannot do this alone. If my work resonates with you, I would love to guide you, email me (click here) to get started. Without emotions, you're stuck being the tin man looking for a heart when your heart is actually already within you. All you have to do is take your consciousness and awareness there, within yourself rather than projecting it so far out. Before trusting anyone and the world once again, you need to learn to trust yourself and this starts with trusting that you can feel and you can deal with your traumas and emotional wounds! Afterall emotion is the language of the Soul, you were built to feel and process your experience in this way. It won't be easy but it is the only way that you will not only change these patterns but feel alive once again. 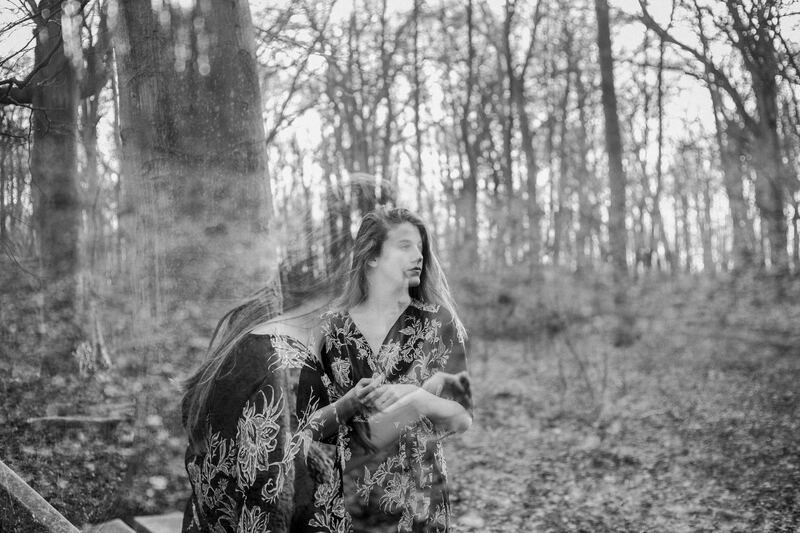 Fawn is one that not many people are aware of and is another one I see often in particular with victims of narcissistic abuse, emotional and psychological trauma. Fawn types mold themselves to whoever they need to be in order to please others. You do this to avoid being attacked or experiencing the "narcissistic rage". You learned that by pleasing others, doing what they want, being helpful and being at their service you are safe but also you are "liked", "loved" or "needed". This was programmed to make you feel like you are a good person if you do as they say. So naturally, you tend to forget about your own needs or put other people's needs before your own. The problem is you end up sacrificing yourself for others. Most co-dependants are stuck in fawn response. People with fawn response tend to have had their emotional and psychological (and even physical) boundaries ruthlessly violated as a child. They were not allowed to have needs and forced to abandon themselves for their abusive parent, caretaker or authority figure. If not they were punished. Hence fawn types fear setting boundaries, have no clue how to say no or are even that they are allowed to say no and if they do they have so much guilt that they end up saying yes. What fawn people forget is that they are now an adult, they can look after themselves now. If you're stuck in fawn response I'm here to tell you that you are allowed to say NO and that it's safe for you to have needs. You are not a bad person if you say no. Fawn people tend to take on everyone's emotions and constantly feeling responsible or like it's their duty to save others. If this is you, know that you are not responsible for other people's emotional well-being. Yes, of course, you can support them, guide them or help but taking on their emotional baggage will not help you or them in the long run. When you take on other people's emotional baggage you are in essence creating a co-dependent bargain. You are unconsciously saying dump your emotions on me and allowing them to do so. You are making yourself the scapegoat and being their enabler in dumping their "stuff" onto you mentally, emotionally and energetically. This is the reason fawn response people are always feeling drained when around certain people. If you have more of a fawn response start working on your mental, emotional and spiritual boundaries because this alone will change your life!! Yes, you may shake with fear the first time you say no but you will soon learn that you can. You shouldn't have to sacrifice yourself for others. You are not obligated to do anything for anyone and that includes taking on their life stresses and emotional burden. You cannot process anyone else's emotions, only your own. So drop the whole savior complex and save yourself! Because no one is coming to save you. You need you! Learn to listen to your own needs and start honoring that now. You can thank me later. Know that it is completely normal that if you have experienced a lot of emotional and psychological trauma you will have all four responses and display all four in different scenarios. Of course naturally, you may tend to one or two or even fluctuate. Regardless if you experience any of the above you are stuck in a trauma response and nothing will change until you address the root cause of these patterns. Working through trauma is not easy but it is doable and you can break free if you are willing to do the work, to look within and take responsibility for your emotions (and not dump it on your therapist). Trauma happened, yes you were victimized but you are not a victim unless you choose to remain there. Healing is a choice and all you have to do is decide. I would highly recommend you seek professional help! 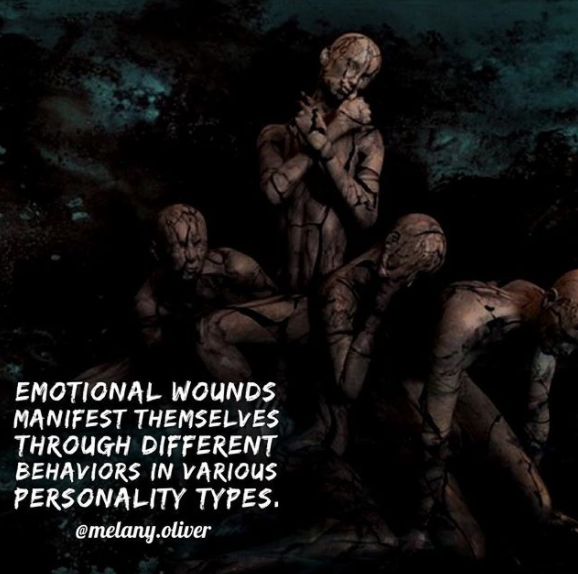 It’s not easy to process deep-rooted emotional wounds, even if you intellectually know the technique, processing trauma has many layers and levels; mental, emotional and physical. Get help to get you started, once you release the overwhelm and learn to manage your emotional flashbacks and triggers and have some tools under your belt you would feel more secure and know how to start to transform some of those patterns on your own.